Dubai’s Atlantis The Palm is just as legendary as its namesake when it comes to 5-star luxury and high-energy family fun. With this great-value deal, you’ll have unlimited access to the onsite Aquaventure Waterpark and The Lost Chambers Aquarium. Grown-ups will be amazed by the indulgent facilities and impeccable service and the kids will go mad over water-slides and marine creatures galore! Turn your stopover into an unforgettable one at this award-winning resort, built on the tree-shaped Palm Island between the glamourous Dubai cityscape and the Arabian Sea. WHY BOOK WITH FAMILY TRAVEL? At Family Travel, we have a passion for helping families all over Australia create meaningful and memorable experiences. Whether you’re a band of avid campers, adventure-seekers, or if you prefer a little luxury, we’re driven to make your holiday dreams come true. With over 20 years of travel experience, you can be sure we can create the right holiday for your family. Can’t find what you’re looking for on our site? Call us on 1300 404 100 and one of our accredited family travel specialists can create an incredible family holiday package for you. Advertised Per Adult & Per Child prices are based on a 3-night package for 2 adults & 2 children on 05 May 19. Blackout dates & seasonal surcharges do apply during peak periods as availability becomes limited. If you need to cancel your trip after travel has been confirmed, the travel operator may impose cancellation fees. Family Travel Team members receive 10% off any travel insurance policy. Once your Family Travel holiday has been purchased you will receive a voucher with full redemption details for you to book your travel. 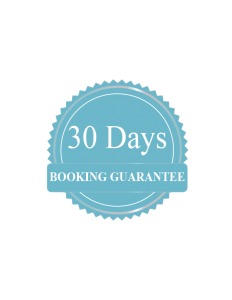 If for any reason you are unable to book your preferred dates please refer to the Family Travel 30 Day Booking Guarantee to understand our refund policy. When booking in your travel dates, make sure you have your travel voucher number, traveller names (as they appear on their passport), age of travellers and details of any special requirements you wish to highlight to the resort (e.g. vegetarian etc). Excludes: Flights, Travel insurance, visa and items of a personal nature. A visa gives a non-citizen permission to enter and stay in a certain country. Family Travel cannot issue visas for your trip. You will need to research Visa requirements and contact the nearest embassy or consulate. Australian Government’s travel advice service smartraveller.gov.au is a good place to start. Read more Visa information here. Dubai has exploded onto the travel scene bigger and better than ever before. Home to the world’s tallest building, an artificial palm-shaped island and colossal shopping malls, this hub of the United Arab Emirates also echoes with ancient stories blowing in from the Arabian Desert and Arabian Sea. Keen globetrotters have likely swooped through Dubai Airport. But this destination is more than a stopover. Check out all 828 metres of the Burj Khalifa building, shop til you drop in Dubai Mall, marvel at the Dubai Fountain water show and soak up Al Fahidi historical sector. And of course, the family-friendly calling card – the awe-inspiring Aquaventure Water Park, with unlimited access included in this package. This ocean-themed luxury resort was one of the first entertainment resorts built in Dubai. Atlantis The Palm opened in 2008 on the tree-shaped, man-made Palm Island in all its 5-star glory. You’ll find two outdoor pools and over a kilometre of private beaches. Kids will love the exciting activities run at the Kids Club and teens will enjoy the teen-only respite of The Zone, whereas mums and dads will love the ShuiQi Spa and first-class restaurants. Not to mention unlimited access to all 17 hectares of Aquaventure Waterpark! Make a splash on river rapids, tidal wives, bathing pools and on several awesome water slides including the nearly vertical Leap of Faith.You can also swim with dolphins at Dolphin Bay, or snuggle sea lions at Sea Lion Point. The expert team run themed Kids Club activities and challenges across three daily sessions. This special Atlantis The Palm package includes one-time free access to the Kids Club for 3 to 12 year olds from 2 to 5pm. Your kids won’t want to leave the Atlantis Kids Club Play Zone, which includes the Command Centre full of Apple Macs, Wii, XBox One and Playstation. Babysitting services and Kids Club give grown ups some time off to indulge in the finer things in life. Find your zen in a hatha yoga class with a difference, inside the mesmerising aquarium tunnels of The Lost Chambers. The ShuiQi Spa offers amazing therapies including a zerobody floating treatments. Treat yourself at the ShuiQi Salon and make the most of the Fitness Centre. There are also delightful first-class restaurants ideal for romantic dinners, including Bread Street Kitchen and Bar, Nobu and Ronda Locatelli. You can’t stay on a man-made, palm-shaped island anywhere else in the world. Make the most of the 5-star luxury of Atlantis The Palm Dubai, perfect for fun-loving families. Your package includes unlimited access to the next-door Aquaventure Waterpark and The Lost Chambers Aquarium. There is also a Dolphin Bay conservation habitat, where you can watch or swim with the dolphins, and a Sea Lion Point where you can cuddle up to the underwater mammals. The marine-inspired interior of this luxury resort throws you deep in the magic of the legendary city of Atlantis. Your Ocean Queen Room comfortably fits 2 adults and 2 children in 2 queen beds. Give us a call on 1300 404 100 to ask about interconnecting room options. Enjoy a walk-in shower and separate bath, TV for some leisurely viewing and 24-hour room service. Looking for flights to Dubai to start your holiday? Getting to Dubai is easy. Regular direct flights are available from most major Australian cities with Qantas and Emirates with an approximate flight time of 14 hours. Private return airport transfers are included in the deal! Dubai has a tropical desert climate, because of its location within the Northern desert belt. Summers are extremely hot and humid, with an average high around 41 °C and overnight lows around 31 °C. Most days are sunny throughout the year. Family Travel can arrange a personalised travel insurance quote for you. Call us on 1300 404 100 and quote Family10 for a 10% discount. Please refer to the ‘Holiday Includes’ section. If you are unclear, please don’t hesitate to contact us on 1300 404 100 for more details. Can I arrange my flights with Family Travel? We at Family Travel are a fully licensed travel agency and are able to arrange flights to any destination. Call us on 1300 404 100 to get a personalised quote. Are there any health precautions or vaccinations that my family needs? We recommend you see your doctor at least eight weeks prior to travel for advice, and to allow time for any necessary vaccinations. Can Family Travel organise my travel insurance? / Do I need a travel insurance? We always recommend that you purchase travel insurance as soon as your travel dates are confirmed. Family Travel can arrange a personalised travel insurance quote for you. Call us on 1300 404 100 and quote Family10 for a 10% discount. If for any reason you need to cancel, contact the Family Travel reservation team on 1300 404 100, and make sure you have your travel voucher number and traveller names on hand. Please be aware that the travel operator may impose cancellation fees. In addition, Family Travel will charge a AUD $100 per person cancellation fee. Once we have received a variable request for cancellation, we request it be submitted in writing. Once received we will begin to process your cancellation. I haven’t received my Family Travel voucher yet. What do I do? If you have not received your voucher contact Family Travel on 1300 404 100 and we will resend your voucher by email. Where can I find full terms and conditions for Family Travel? Terms and conditions for each holiday can be found in the fine print of each booking. Full details on the terms and conditions can be found on the link below. How old do my kids need to be? We include a ‘For Kids’ section at the top of every deal that outlines the age guidelines of the product provided to us by the tour operator. Are there any programs for kids at the resort? My kids are fussy eaters will there be other options for my kids? This is dependant on the resort/hotel and the restaurant options available on-site or nearby. What if my kids are over the age of 12 years? Do they count as adults? Family Travel is able to look after families of all ages. If you are interested in this product, but your kids don’t suit the age requirements, call us on 1300 404 100 and we can provide a customised quote. Can you put my family in Adjoining or Connecting Rooms? At Family Travel we are more then happy to request that your family is put in adjoining or connecting rooms, however this will only be on a request basis and can’t usually be guaranteed. To make this request or to find out more please call us on 1300 404 100.